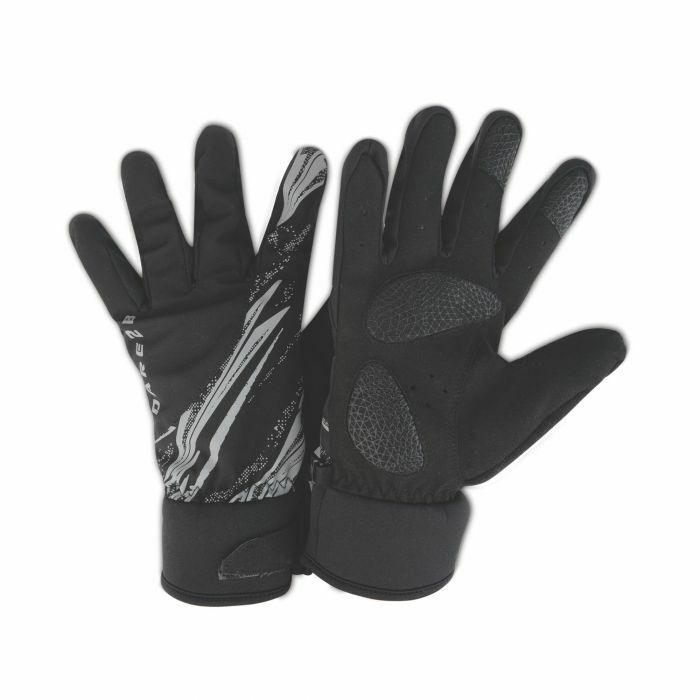 Reflective print cycling gloves. Built for low light cycling. Made from soft-touch polyester with a strategically placed print for maximum visibility. Waterproof/breathable ARED 5,000 liner. Tough-wearing suedette palms. Gel gripper for a firm hold. Non-snag hook and loop wrist adjuster. Easy-grab perspiration wipe.